Anyone who has watched more than a few Chinese movies cannot fail to be impressed by what the Chinese call wushu and westerners usually call Kung Fu, or Chinese martial arts. Wushu is one of the great achievements of traditional Chinese culture - a sport and a fighting technique that combines brains and brawn. Here is our list of the top 10 Kung Fu movies. 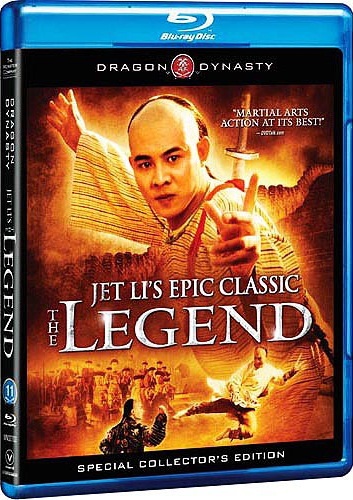 In The Legend, martial artist Jet Li portrays a real-life turn-of-the-century Cantonese patriot Fong Sai-Yuk. This early 1990s film is a much more blunt and straightforward effort than Tsui Hark's flamboyant Once Upon a Time in China, but it includes many lively and funny sequences. Josephine Siao, who previously starred in many 1960s Cantonese comedies, plays Fong Sai-Yuk's martial mother. Siao disguises herself as man to enter a martial arts competition held by a rich merchant and ends up winning both the prize and the heart of the rich man's daughter. Anyone who has watched more than a few Chinese movies cannot fail to be impressed by what the Chinese call wushu and westerners usually call Kung Fu.